Kochadaiyaan release date is fixed! It’s officially official now. 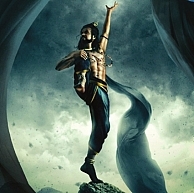 Superstar Rajinikanth’s Kochadaiyaan will indeed come out on the actor’s birthday this year, 12.12.2013. The confirmation has come as an official statement from the unit. The build up to the grand release will begin with a single track which will be unveiled on October 7th. The song has been sung by SPB and penned by Vairamuthu for the music of A.R. Rahman. The film’s director Soundarya Ashwin Rajinikanth has spoken at length about the project and the technology invested in it. “My ambition has always been to immortalise my father and bring the legendary Rajinikanth that audiences around the world adore in an avatar he hasn’t been seen or experienced in ever before." Soundarya Rajinikanth & Mysskin Celebrate Their Birthday Today! People looking for online information on Kochadaiiyaan, Kochadaiyaan, Rajinikanth will find this news story useful.